I once burned my thumb almost clean to the bone, while burning a photograph of someone I loved. He didn’t love me, which was why fire was needed to erase him. I remember a colorful bubbling heat as the Polaroid burned and flames curled over flesh. I ran to the sink. I turned on the tap. I let the remnants of the Polaroid swirl down the sink (bits of black, bits of purple). My hand didn’t burn until clear, cold water licked the wound. I let the water run for a few minutes, blue glow coming from the television in the living room, cheap linoleum beneath my bare feet. My parents were due to arrive home, so I bolted through the refrigerator, looked for the ingredients to make a batch of butterscotch brownies, and mixed the batter with the hand that wasn’t coursing with white-hot pain. When my parents came home from their night out there were brownies on the table and a doleful-eyed daughter waiting for them, complete with a sob story about a faulty potholder and a too hot pan. The next day, Sunday, brought me and my red, throbbing thumb to mass. I asked God for forgiveness, anxious, dreading the “Peace Be With You” when I’d have to shake hands with strangers. The hurt hand was my right one, the one I wrote with, shook hands with, put on makeup with. I also remember an itchy white wool turtleneck, the canned-heat of the sanctuary, the communion wafer stuck to the roof of my mouth. I still hate to bake. I like the idea of concrete boxes full of lace and bits of tin, powdery remnants of a time before. Important things that will look small in a hundred years, squirreled away like canned food in a basement; light hits glass jars of pickled ocra and beets and we will live another day after this one. My eyes are wide open, but I’ve let a passive voice overtake my former assertive one. I take you inside of me like water, like rain, like humidity. You permeate when you’re here but more when you’re far away. I’m tired of the far away part. There’s too much time to miss you, too much time to cycle through. At sixteen I wrote someone a letter, confessing all of the lust I couldn’t express when he and I were together. People wrote letters then, even with the internet banging down the door of communication. I had special pens and special paper. Notebooks full of angst and childish problems. I could burn them if I wanted to, but fire is more dangerous and harder to control than a delete key. When he read the letter he called me, but it was too late. I had already fallen out of lust, and the thought of his passive face and too light eyes and lank, long hair (and clammy hands, if we’re being honest) made me cringe. When he called me it was to say he liked me that way too, but I couldn’t respond in turn. I told him I made a mistake and hung up the phone; cheeks on fire, heart dodging bullets. I feel like, maybe, I’m paying for this slight. That a husband away so much, someone I can only have half the time is my payment for the mistakes I made. If I’m sad, it must have been something I did in the past. I must have done something wrong. But then I remember how many clear blue days I’ve seen. How many greenhouses glowing bright green under glass. How many snow covered forests under purple and silver skies. Was it something I said to make me deserve this? This beautiful life? This compact and fiercely loved family? Did I do something honest and true on the same day that I broke someone else’s heart? This tendency of mine to flesh out the dark fantasy and turn what’s real into minutia wears thin. There’s no room for it anymore. There are cabins with fireplaces that sit next to singing rivers. There are spirits in the mountains, silver-white. They hide beneath the rocks and the rocks are covered with soft moss. There is too much here that keeps me holy to give it all up. But I am alone too much for my own good. Alone sometimes I am strong, alone all the time I am empty. Originally the fifth bedroom in this townhome served as a small nursery off of the master bedroom, but somewhere further along in history it was turned into a walk-in closet. Luckily, before moving in, I donated over half of my wardrobe. 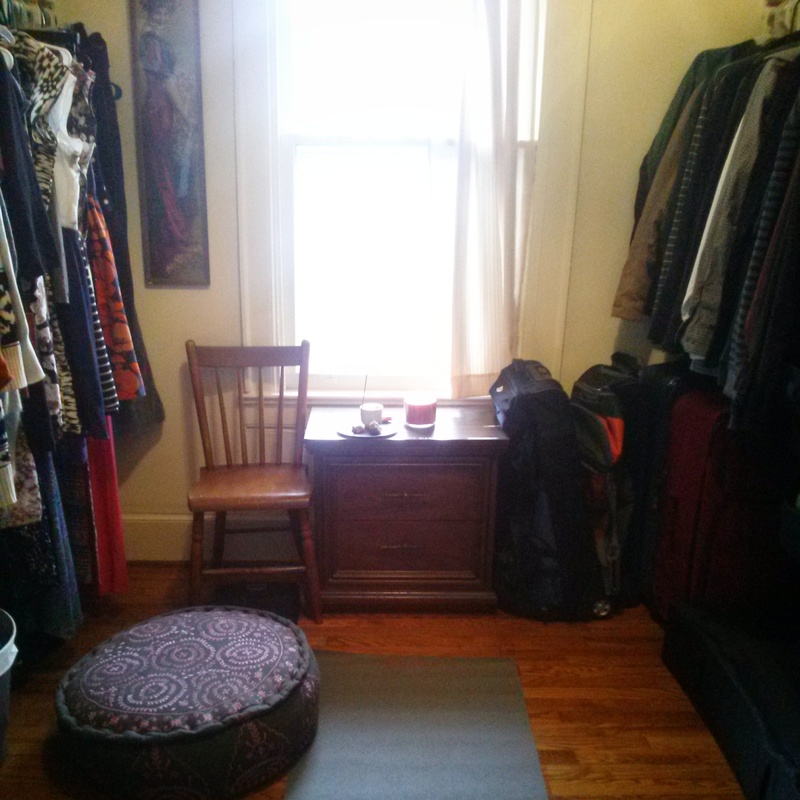 Instead of filling the room with more clothes and shoes, I’ve decided to store my yoga things and my zafu on my side of the closet, and bring them out here instead of in the living room as I would have done in our last home. Living with intention has started in earnest with a larger space with less objects occupying it. There is room to rest your eyes, there is room to sit on the floor and think of nothing for a while. For a long time I wrote with the hopes that every syllable might bring about a creative epiphany, or at the very least, something that could be extracted and published. This is what writers are taught that matters most. If your heart has been broken, or if you meet someone caustic or eccentric, they can be fuel for that blue fire of creation and output. I’m ready to just sit. I have other outlets to put my writing skills to good use that fulfills me. This is a relaxation space. I hope the only thing that comes out of it is me, more aware, more mindful, more compassionate. 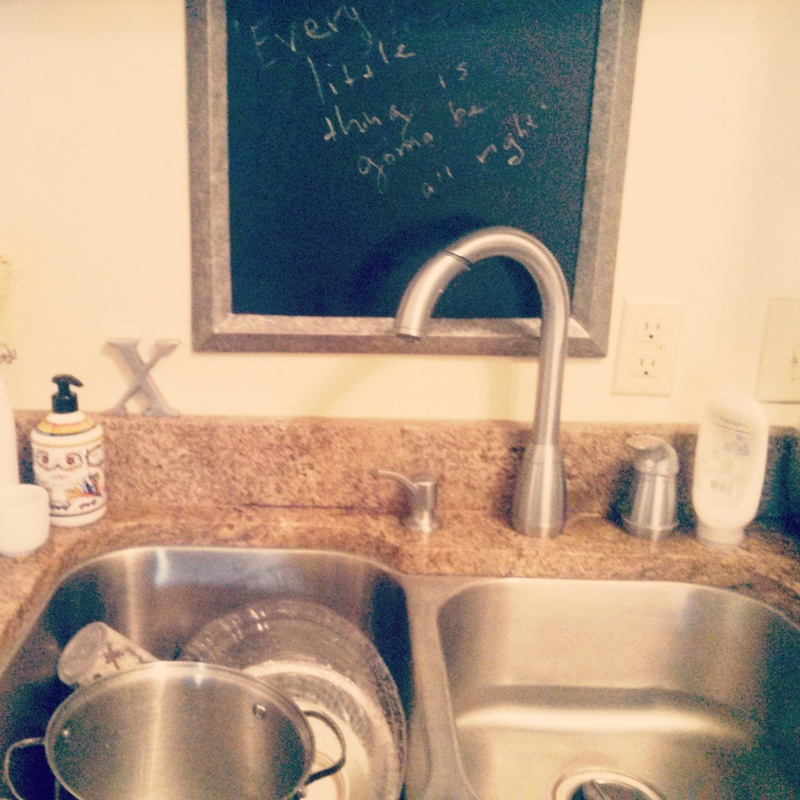 We don’t have a dishwasher in this place, and what’s resulted has been a lesson in mindfulness for all of us. Xander helps more with the dishes; before he would load his own but now he helps us wash, dry, and put away. Sometimes we have a line of the three of us, one washing, one drying, one putting away. Even when I’m doing dishes by myself it’s been a calming experience. The soap smells nice, the water is warm, the porcelain plates are smooth and cool to the touch. They are here. So am I. That is enough. 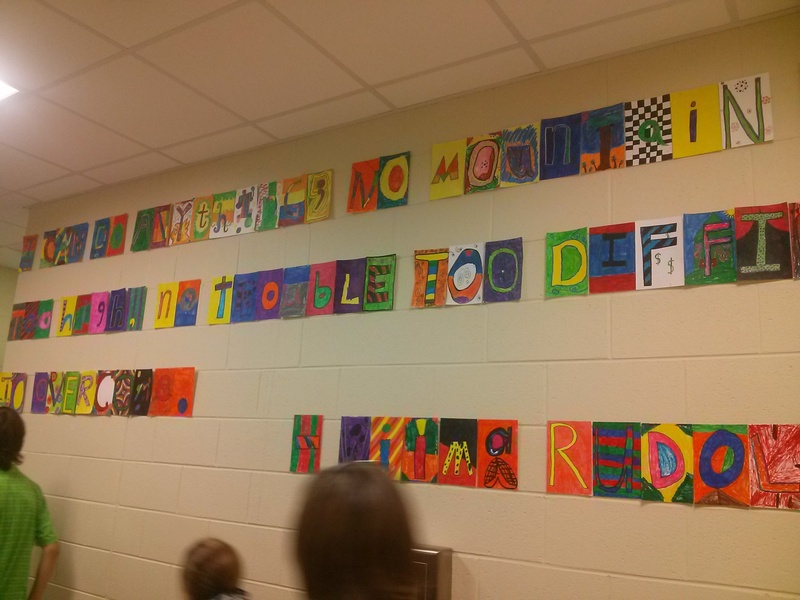 The quote on the chalkboard is of course Bob Marley’s. We sing “Three Little Birds” every night with Xander before he falls asleep. I hope he never grows out of this, as he grew out of clutching his little “stones” each night. For a few years he held a piece of smooth rose quartz in one hand, and another piece of jade or fluorite in the other. Before the “stones” he used to have George the monkey with him. There were actually two identical Georges. One was the main one and the other the backup, in case George #1 was lost. George #2 was called “Georgie” and he used to fuss if we tried to give him Georgie instead of George. he said he knew the difference, and he couldn’t sleep without the real George. Just a year or so ago he admitted that he himself couldn’t tell the difference between the two monkeys, he just liked having us search for the other one. The art of the bedtime stall is one of that kid’s best tricks. 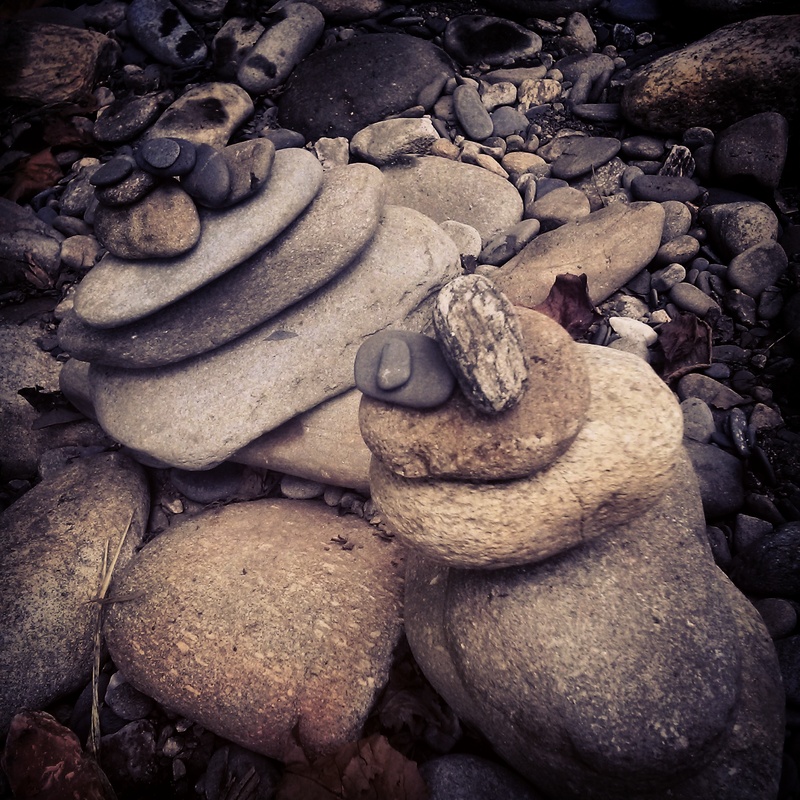 Recently, I saw a news story about a man who spends his life making elaborate cairns in the Smoky Mountains. He balances huge river rocks to impossible heights and arrangements, finding balance in the space between rock, earth, air, and his hands. On Saturday I attempted a few myself, and although they’re small and a little silly, I felt a smoothing in my chest. It’s good to know that there are little things that add up to big things, and things that will stay little. Well, I did let a month pass before writing here, but I have a rock-solid excuse: we moved, and I’ve been scurrying around setting everything to rights. Admittedly the last time we moved the computer was warm to the touch practically because I wrote about the whole progress, with big color photographs. Since I’ve started university my efforts are concentrated in that direction, so this space has suffered from neglect. Another thing that’s kept me busy has been a fluctuating tide of anxiety. Some days it’s barely there, trapped like a bat in my ribcage, and other days it’s full tide, washing away most of my good thoughts, changing my personality into something dark and jittery. I’ve written about my anxiety in more lyrical and beautiful ways than this before, preferring to cloak it in characters, or prose, or hide it behind haiku. It felt better to turn worry into art. I used to think that was productive. By beating around the bush I was creating something new and beautiful out of something old and raw and terrifying. It was a cop out. By not staring the demon right in the face I continued to feed him. By addressing him by name without throwing flowers at his feet I can make him smaller. 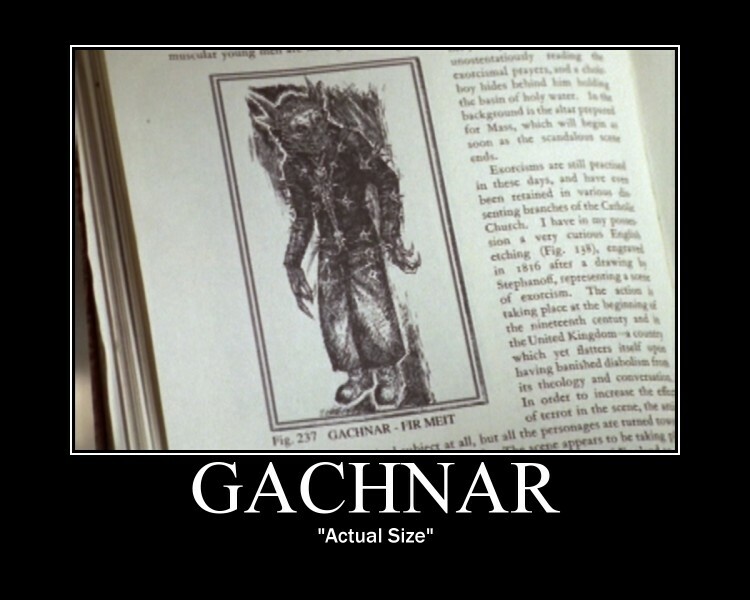 Remember that Buffy when Gachnar the fear demon overtook the frat house on Halloween ended up being such a tiny, tiny little demon that the Scooby Gang could was able to taunt it and squash it? I need to start seeing my fears and anxieties as small and squashable in the universe. I need to see them as as insignificant as Gachnar. What has helped me squash the fear demon? Walks, a bit less coffee, listening to music, traveling to places that make me calm, spending simple, honest time with my family. This new house is calm. It’s house number is a six in feng shui numerology, which means that it has no negative influences that need to be offset. The only negative influence so far, has been me and my monkey-mind. My worries generally revolve around money, the fear that we’ll run out, that we’ll be poor again, that I’ll have to leave school. These are not completely irrational fears, but the way that my mind spins them out of control is anything but rational. I’m trying to focus on the bright spots instead of the dark. Here are some of the bright spots from this past week. 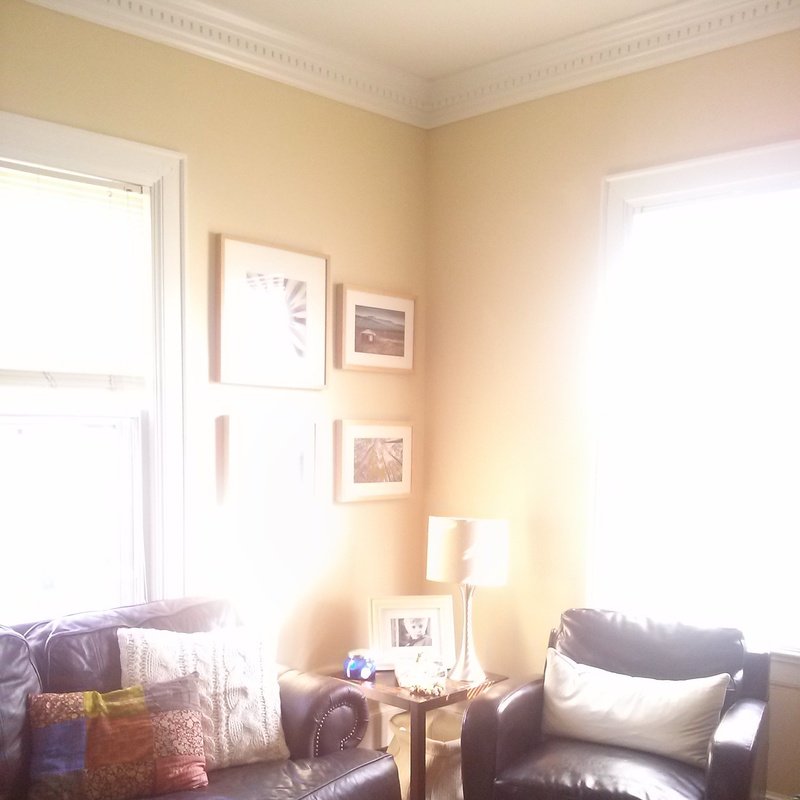 A sunny moment in our new living room. 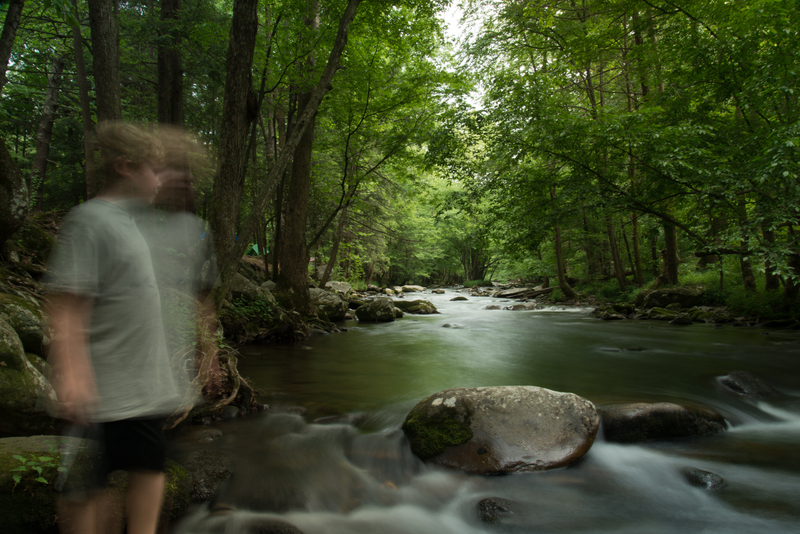 Xander hiking yesterday evening along the water that feeds the historic Mingus Mill on the North Carolina side of the Smoky Mountains. We are so lucky to live here, and our new town is so much closer to spots like this. 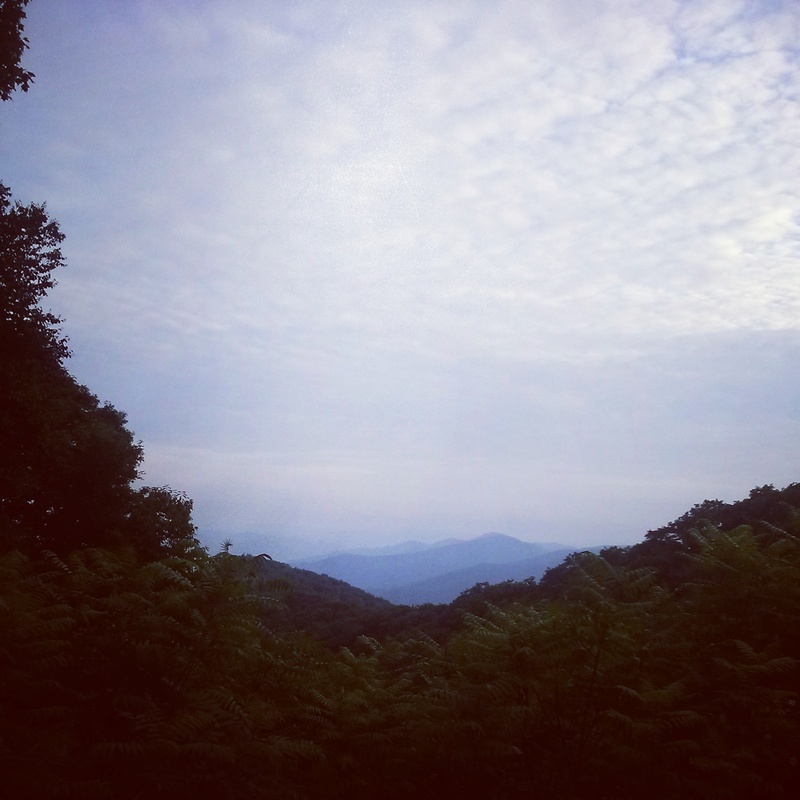 An overlook somewhere between North Carolina and Tennessee. This land of Blue Smoke is our home. Tell me, what quiets your anxiety? Thanks to that difficult Geography course I took last fall, I’ve developed a habit of checking noaa.gov each morning. I like seeing what the temperature will be, if we’ll have lots of low or high pressure on the surface or in the atmosphere, if there will be a storm or a clear day. In case you’re wondering, high pressure means nice weather, low pressure means disturbance and convection, like a boiling pot of water. We’ve found a place. A place to fall in love with for now. Why do we do this so often? We’ve been at this rental for three years, which used to feel like an eternity to me, now it feels like a once-round walk around the block. This little house has been good to us, but it is time to move on to new opportunities. I’ve never wanted to hold any of us back, and since I don’t believe that any one of us owns any part of the land, we might as well flow with the tides of migration and progress, instead of sitting and waiting it out. Our ancestors didn’t stake claim until recently in history, I guess I’m finding it harder to adapt to being a domesticated human. What can I say about the new place? It’s one half of a large duplex, brick, gorgeous, big without being too big, lots of character and charm. The landlord takes care of the lawn (they live in the other half of the duplex), and we have an unfinished basement for storage, something I’ve been pining for. 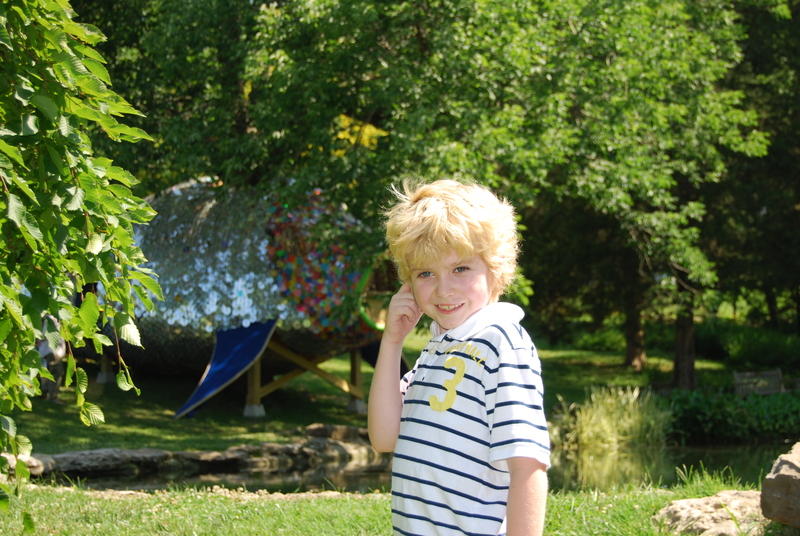 The best part is that it’s right in downtown Maryville, the town we love, and Xander will be attending one of the best school systems in the state. We’ll be able to walk to our favorite coffee shop, market, library, and restaurants. It’s a proper small southern town, right at the base of the Great Smoky Mountains National Park (the town sits in the foothills. but the official boundary is within a twenty minute drive). We’re excited. I hope I don’t let a month pass without writing here again. I need to be better about that. This summer is melting away like a vanilla ice cream cone on a sidewalk and I should be recording it. Most days we are swimming or lazy, watching Netflix or Amazon Prime marathons. We stay in the backyard, making small fires and playing with the dog. If it’s not so hot we ride our bikes around the block a few times, and when we move we’ll be able to ride them to actual destinations — the library, the coffee shop, the park with the ampitheatre, the market. We can walk the dog to places, not just in a suburban locked-in circle, where the next destination is always this house or that house, or that empty field. We’re not cut out for the suburbs any more than I’m cut out to stay put in one place. We’re going to look at another house to rent in a little bit and I’m nervous. Nervous that I’ll fall in love. Already I feel like a girl awaiting a first date with someone she’s had a crush on for a long time. Same butterflies, same fidget. Instead of fluttering around like a bird caught under a roof I figured I would write here. I don’t want to get my hopes up (but who are we kidding – they’re up!). The house is in this little town – the one we’ve had our eye on for a long time and that we visit often. 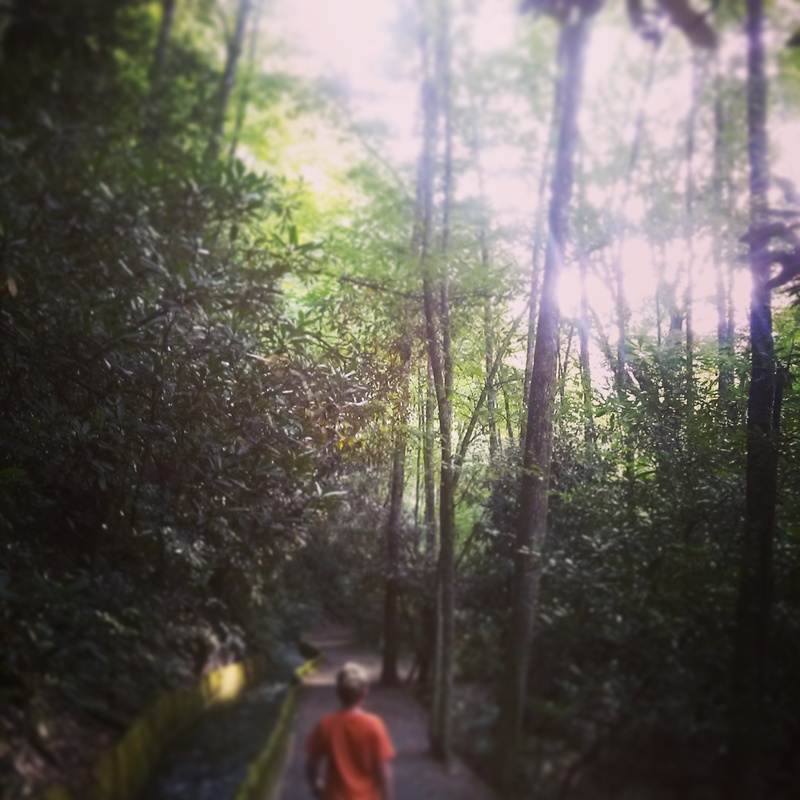 It’s just twenty minutes from downtown Knoxville but feels like another world. Close to the mountains, it has a coffee shop and library that we love. A used book store. A park system that interconnects the town. You don’t have to drive much. We could walk to the pool and to school (oh hey that rhymes). Fingers crossed. Cross yours for me? I have no fiction in my heart this morning, but I want to sit down and write. For a long time I only wanted to share elegant, eloquent words here, words that had flown to me while showering or driving. Words I had to write down so the feeling surrounding them wouldn’t disappear forever. Such desperate grasps for relevance often lead me to desperation, so instead I’ll write down a few things I know to be true. My friend is moving, to a house that I dreamed about a few months ago. When she showed me the small basement with its row of white windows and Depression-era hooks and latches, I told her that it was the house she and her family are meant to be in. The house sits in a small town north of here, next to a state park. The entire place is on the Historic Register, was built for the builders of the TVA dam that fed electricity to the valleys and hollers that surround it. You have to walk to the post office to get your mail and meet your neighbors. It’s perfect for her. This isn’t the first time I’ve had dreams like this — that have proven themselves as more than mere images of wishful thinking on a blank screen. I dream of a museum almost every night, I dream of certain fields and copses of trees with orange leaves underfoot. I dream of small towns in the mountains. I hope these turn out to be as true as the one about my friend’s new house. Better run — off to ride bikes with Xander. If we wait it will grow too warm and the ride will be shortened by our sweat and weakened breath and stupor. We’ve been swimming a lot, an activity that will soon be the only appropriate outdoor one in the heat of this southern summer. The work appearing here, with the exception of images, is the intellectual property of Christine Dano Johnson. Unauthorized use and/or duplication of this material without express and written permission is strictly prohibited. Excerpts and links may be used, provided that full and clear credit is attributed with appropriate and specific direction to the original content. I make every attempt to give full credit and relevant linking to all art shared here, whether it be historical or current. This is a non-commercial site, that obtains no revenue.